The Lost Dogs’ Home would like to urge dog owners to take special precautions this New Year’s Eve. The New Year period is a very hectic time for The Lost Dogs’ Home. Every year the Home becomes inundated with lost dogs that have tried to escape after being traumatised by the sound of New Year’s Eve fireworks. This year may be more complicated with thunderstorms expected on Friday and Saturday. “Some dogs do not react well to thunderstorms or fireworks. Dogs’ hearing is four times better than human hearing. It is a natural reaction for some dogs to flee and seek refuge. The Home hopes for a wet, chilly New Year’s Eves so owners stay home with their pets,” said Dr Smith, Managing Director of The Lost Dogs’ Home. “Last New Year, The Lost Dogs’ Home had six ambulances working around the clock collecting fearful, trembling lost dogs. New Year’s Eve and Day see the arrival of at least seven times our normal intake of lost dogs. It is extremely difficult for us to cope with this sort of increase in numbers,” said Dr Smith. The Lost Dogs’ Home asks that pet owners are vigilant about caring for their pets this New Year’s Eve by ensuring fences and gates are secure and that all pets are microchipped and wearing collar identification. If owners intend to go out, they should put their pets inside. “When the fireworks start, pets should be reassured and distracted with toys or food. In some cases, sedation may be required where it is known the pet will fret. Veterinary advice should be sought in this case prior to New Year’s Eve,” said Dr Smith. In addition to caring for pets on New Year’s Eve, The Lost Dogs’ Home asks pet owners to properly care for their pets over the entire holiday season. Of the lost dogs that came in over the Christmas period, 98% were wearing some form of identification; however, some owners had not updated their contact details and could not be reached. 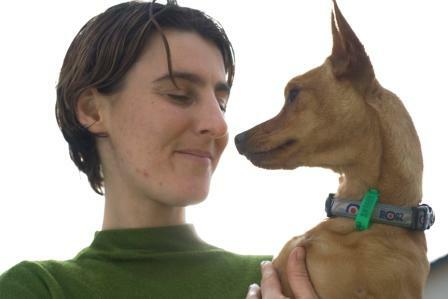 “Pet owners should make arrangements for their pets so they are not left alone for long periods. Gates get left open, dogs try to escape, dogs get lost. Owners should make sure their pets are microchipped, wearing collar ID and that their contact details, including a mobile phone number, are current with the register storing their pet’s ID tag and microchip registration,” said Dr Smith. If you need to update your contact details with the National Pet Register (ID and microchip register) please follow this link. Alternatively you can phone the National Pet Register on 1300 734 738.